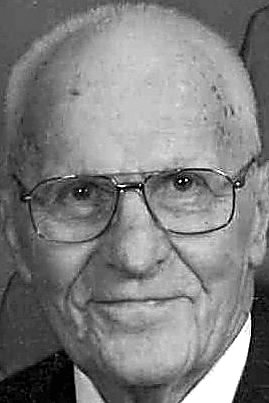 Leonard L. Hoover, 88, Patton RD, died Thursday at his residence, surrounded by his loving family. He was born in Patton RD, son of the late Leo A. and Ethel (Tomlinson) Hoover. On June 21, 1952, he married Mary Lucille Little in Chest Springs. Surviving are his wife of 66 years; 10 children: Roxanne Buck, Christine (Edward) Angert, David “Turk” (Sheri Campbell), Roberta “Robin” (Frank) Little, Tim “Jake” (Theresa Sutton), Donald “Abe” (Lisa Stoltz), Martin (Mary Ann Little), Jaque (Mike) Shiffer, Andy (Renee Bartlebaugh) and Matt; 16 grandchildren; 10 great-grandchildren, with two more to be born in October; three siblings: Earl (Lena Tirendi), Ted (LaVerne Nagle) and Carol Ann (Robert) Swam; a sister-in-law, Margaret “Peg” (Nagle) Hoover; and numerous nieces and nephews. He was preceded in death by a son, Glenn; a grandson, Joshua Hoover; a son-in-law, David Buck; two sisters: Laverna Cordell and Leona Little-Norris; a brother, William; a sister-in-law, Colleen (Connor) Hoover; and two brothers-in-law: William Norris and Charles “Dutch” Cordell. Leonard was an U.S. Army veteran and a self-employed dairy, potato and grain farmer. He served on the board of directors for Snyder’s of Berlin and Agway. He was a member of the Cambria County Farmers Association; a third degree member of the Knights of Columbus, Patton; a member of Carrolltown American Legion; and a life-member of Chest Springs Sportsmen’s and the NRA. He was also a member of St. Monica Cath­olic Church, Chest Springs, where he formerly served on the church council. Leonard enjoyed traveling, hunting and snowmobiling. Friends will be received from 3 to 7 p.m. Sunday, Sept. 9, 2018, at Gibbons Funeral Home, 1688 Liberty St., Ashville, where a Rosary will be recited Sunday afternoon. A funeral Mass will be celebrated at 11 a.m. Monday, Sept. 10, 2018, at St. Monica Catholic Church, Chest Springs, the Rev. Christopher Lemme, T.O.R., celebrant. Committal will be in the church cemetery. Military rites will be presented by local military organizations.